Most of our writing tips focus on the creation of a sound story, regardless of the medium in which you are working. 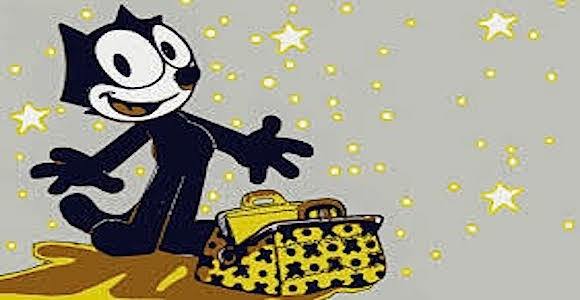 But since the writing of screenplays has its own unique restrictions, requirements, and opportunities, we thought it might be useful to offer a Screenwriter’s Bag of Tricks. Like any good grab bag, this collection of tips and techniques is in no particular order. Some are geared to the beginning screenwriter, others to the expert. But regardless of your experience level, you’re likely to find a few keepers. Index cards (3×5 or 5×7 in size) are often used by screenwriters to plan out the sequence of events in their stories. Usually, a script has many different dramatic threads. The trick is how to weave them together over the timeline of the movie. For example, you might have several key challenges for your hero to overcome. You describe each of these on a different index card. You tack them up on the wall or lay them out on the table (or floor) and stand back and look at them. You see how the action seems to flow from one to another. Perhaps it seems that the ending is a bit anti-climactic, or that the build of dramatic tension isn’t right. So, you rearrange the order of the cards until you arrive at and order that feels the best. Then, you may realize that you actually have a gap in the action that requires the creation of another challenge. So, looking at what comes before and what comes after, you determine the kind of action that is needed, and make a new card to fill the gap. You might also realize that you have two challenges that are too much alike, or that would happen too close to each other, so you decide to lose one, or combine two into a single one that makes it all the stronger. Then, you may know that you want a series of arguments between the hero and a love interest. In one creative session, you may work out how many arguments you want, and what each is about. You describe each of these arguments on a different index card. As with the hero’s challenges, you tack up the cards and arrange them in the best possible order, filling gaps with new cards, and deleting or combining cards until the flow is right. 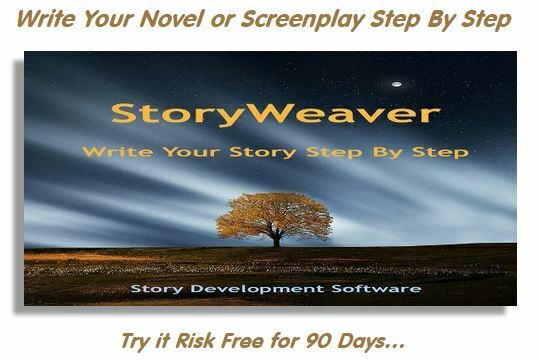 Since a movie generally focuses on one dramatic situation at a time, then intercuts among several different threads as necessary, your next job is to combine both the challenge thread and the argument thread into the overall timeline of your script. You might decide to start with the first challenge card, then go to the first argument, and alternate. Or you might start with the first argument, have a second argument, and then two challenges in a row. There are no “rules” as to how the two threads of cards should be shuffled together. It is purely a choice of how you wish to impact your audience. You may even find that once you have blended the two threads into a single timeline, that combination highlights the need for an additional challenge or another argument, or perhaps the removal of one or the other. You might even be able to see the need for a whole new thread that is suggested once the first two threads are combined. So you create a third set of index cards, put them in order, and then weave them into the other two. 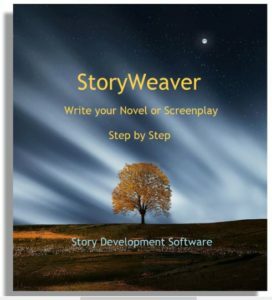 In this manner, many screenwriters work out the basic beats and flow of their stories so they have a loose blueprint from which to write, and therefore don’t get stuck in a logistic corner, or an emotional dead end. There are some moments in some movies in which a long monolog by a single individual works well. Any inspiring public speech, for example, or when one character holds others transfixed with a tirade or diatribe. But movies are an action medium, and most of the time a long-winded dissertation by one character while the others simply stand and react gets boring very quickly. To avoid this, take your longer speeches and distribute the material to one or more additional characters. It is far more interesting to see what everyone has to say on the issue, than to see what one person has to say. Think about real life situations. Aside from presentations and reports in a business situation, or structured events such as a ceremony, no one thinks well of someone who hogs the conversation. Let you characters make their point, then let someone else have a turn. Good examples of this can be found in the original Howard Hawk’s production of “The Thing,” and also in “The Big Chill,” both of which have extensive exposition and opinion, but no one says more than a few lines at a time before another chimes in with his two cents’ worth. The exceptions, of course, is when someone gets all wrapped up in his own rhetoric, as when an individual muses, reminisces, waxes poetic, or proclaims a higher truth with fire in his eyes. People don’t mind if a good storyteller talks forever. Look at the long pontifications of the characters in “Network.” But even these are handled as special moments, and the ebb and flow of normal conversation continues in between, serving both to break up the monotony, and also to uplift the long passages by contrast. Movies are a visual medium. The strongest impact is created by what is seen, not what is said. Although we might marvel at well-written dialog, it is the moving shadows that capture our imagination. Before writing a dialog scene, consider the information you are trying to convey. Consider visual alternatives that would show the audience rather then tell them. Even character development can often be more effective by seeing what the character does, rather than listening to what he or she says. If you do need to say it, try to create a visually interesting situation in which the dialog can occur. I once had to do an interview on a big-budget industrial film with a geologist about drilling for bauxite samples 50 miles outside of Van Horn Texas in the middle of a desert. I could have just gone to the site, set up the camera, and filmed him in front of the rig. But when he picked me up at the airstrip, he was in a dusty, beat-up pickup truck, and headed down the rough dirt road at literally 100 miles an hour. I took out the camera and did the entire interview while bouncing around in the cab. When we arrived at the site, I simply shot a lot of silent footage of the goings on. When we cut it all together, we began with the truck interview, and then cut away to the various aspects of the job as the geologist spoke. It created a riveting three-minute sequence and pleased the client immensely. So if you have dialog to deliver and you can’t really communicate the information in a visual way, consider changing the location or engaging your characters in some activity that will at least add a visual element. You might have them conversing during one-on-one basketball, while doing yard work, chasing after a dog that needs a bath – whatever. And if all else fails, don’t ignore the potential of a cheap cinematic trick. You can do a scene completely in silhouette, seen from the POV of a goldfish in a bowl, from another room as a janitor stops to listen and then continues with his cleaning. You can even get overt. There was a television program many years ago called “Then Came Bronson,” starring Michael Parks. It was noted for trying new visual techniques. For one long dialog conversation, the director shot the two characters from the side, walking along a sidewalk across the street. He shot them silent in several locations with different backgrounds, always the same distance away, walking at the same pace. In the editing room, he cut from one location to the next so that it appeared as if the characters were continuing to walk and the background jumped from one to another behind them. The dialog was then added over the sequence as a whole. This simple technique gave power to an otherwise uninteresting scene, added the impression that they had been talking for a long walk all over town, but got the verbal information across as concisely as possible. So look for visual opportunities to enliven dialog, and if there aren’t any, make them.